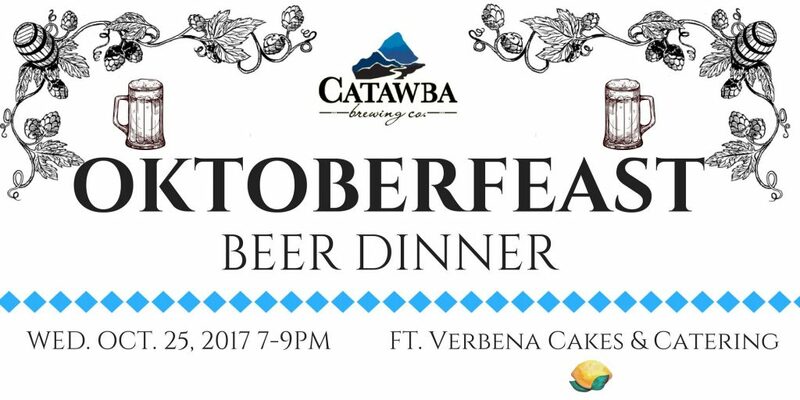 (Asheville, NC) – Catawba Brewing is hosting “OktoberFeast” a Oktoberfest-themed 4-course food and beer pairing at their Asheville South Slope Brewery’s Rickhouse Bar. The dinner begins with a canapé station, followed by a variety of delicious German-inspired dishes prepared by the talented chefs at Verbena Cakes & Catering. 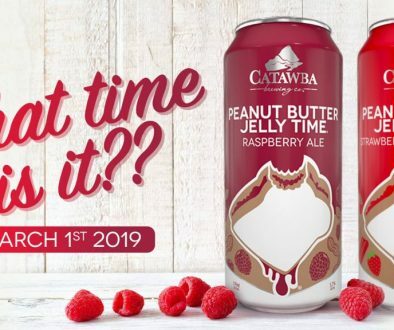 Each course is expertly paired with a Catawba brew to enhance the flavors and further delight your taste buds. 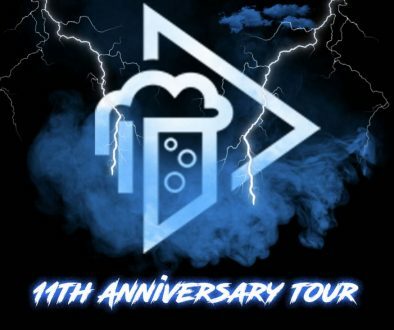 Founded in 1999 by the Pyatt family, natives of Western North Carolina, Catawba Brewing operates a main production facility in downtown Morganton, NC at 212 S. Green St; a boutique brewery/tasting room in downtown Asheville, NC at 32 Banks Ave; a tasting room in Asheville’s Biltmore Village at 63 Brook St.; and a new Catawba brewery/tasting room in Charlotte’s Plaza Midwood neighborhood at 933 Louise Ave. Catawba beers can be found in NC, SC, TN, AL, and now in GA.
With over 16 years of experience, Verbena Chefs work to create amazing menus for any occasion. Our Chefs are classically-trained and practiced in styles including: Hawaiian, Asian, Italian, Latin, American, Southern American, Mediterranean, German, Indian, and Vegetarian. To complete your perfect event, our full-time Pastry Chef is always ready to deliver delicious desserts!